Bring it to Sure Shot Collision Repair, and they’ll get you fixed up and back on the road in a ride that’s right. He was inspired to open his own business after working for one of the largest chain paint and body shop as an area supervisor. He saw the need for high quality paint service and collision repair at affordable pricing without sacrificing the quality. 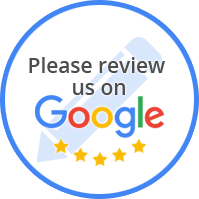 Something Sure Shot Collision Repair offers that the majority of the competitors do not offer is honest and friendly service for collision repair and factory finish with hometown care. That includes a true base coat or clear coat finish on all paint services rather than the inferior single stage paints. Sure Shot Collision Repair serves the Garland, Richardson and Dallas areas. We are open from 7:30am to 6:00pm Monday -Friday and 8am to noon on Saturday. We Pride Ourselves In Our Knowledge Of Auto Body & Collision Repair To Get Your Vehicle Back On The Road.